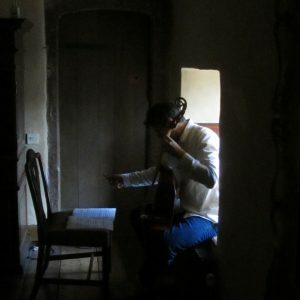 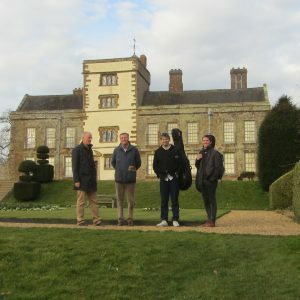 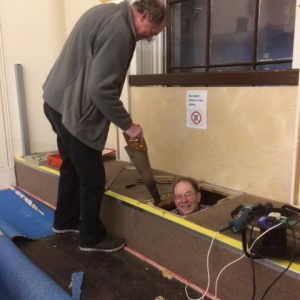 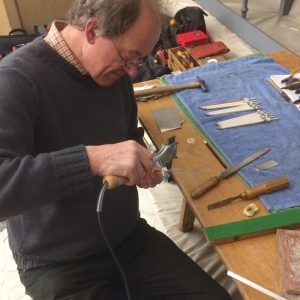 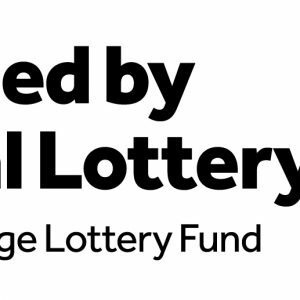 Ben Marks, keyboard instrument conservator http://keyboardconservation.co.uk/Home.html has been working with us for a week, sponsored by the HLF and the Horniman Museum. 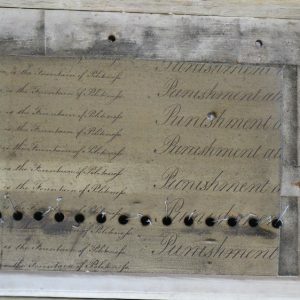 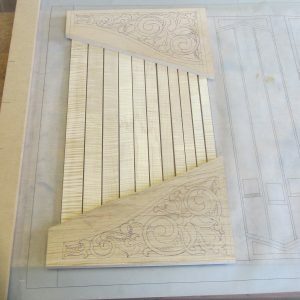 He has restored the keyboard of the ca1790 anon. 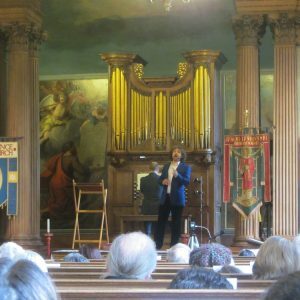 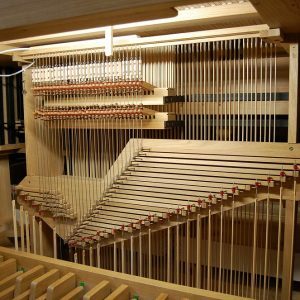 chamber organ, and the key action. 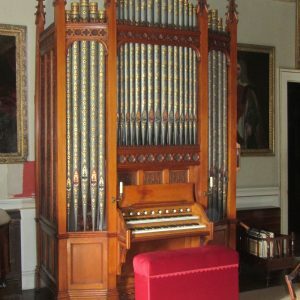 This is the organ that used to belong to Finchcocks keyboard and instrument collection and is now at the Horniman museum. 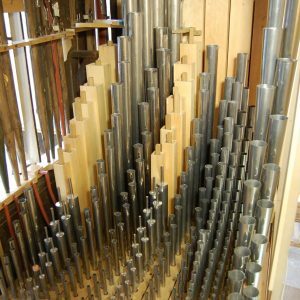 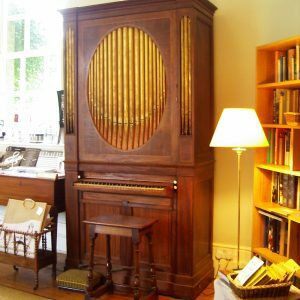 It would not have been made by an important organ builder, but a little maker working for a shop like Longman and Broderip, or Henry Holland. 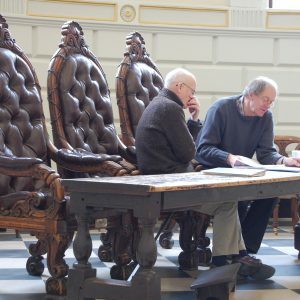 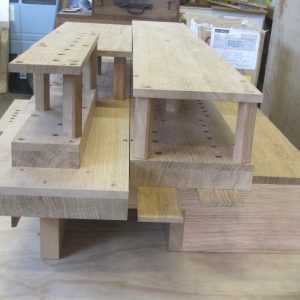 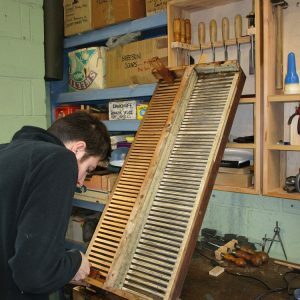 Nick has made a copy of the original 1865 organ stool for general use at Erddig (National Trust). 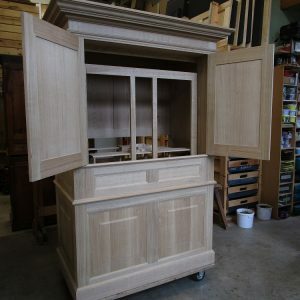 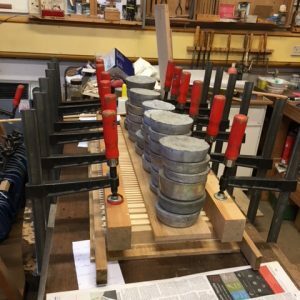 Nick’s casework for the new consort organ almost finished, with the frame for the dummy front just propped in place. 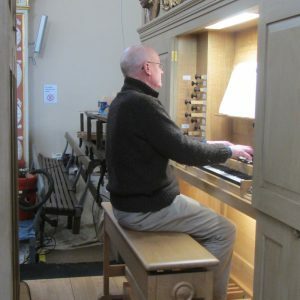 Our friend and colleague, Willie Hendry, a harpsicord maker and tuner, playing the newly restored organ at Trinity College Dublin, following a week with Goetze and Gwynn in Dublin. 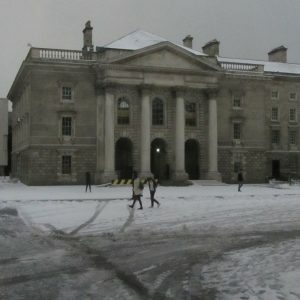 The Public theatre in Trinity College Dublin in the snow from the “Beast from the East”! 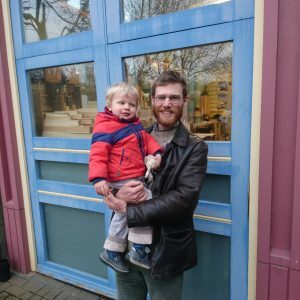 Guillaume Zellner and his young son Emile visited the workshop whilst over on holiday from France. 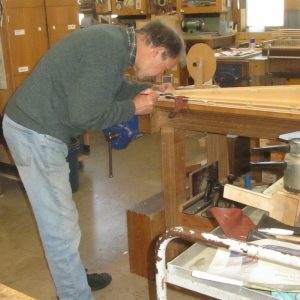 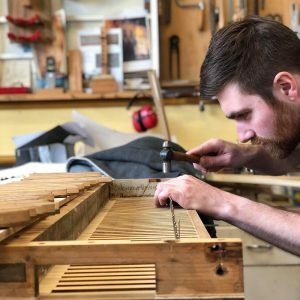 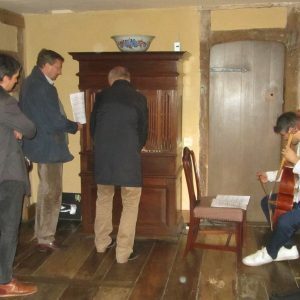 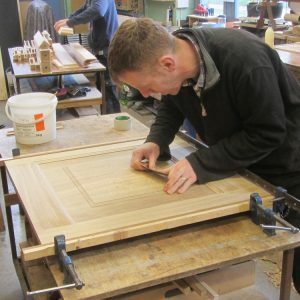 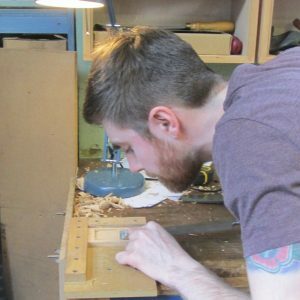 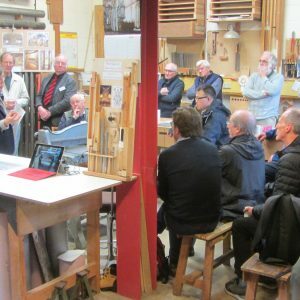 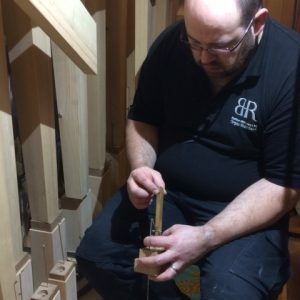 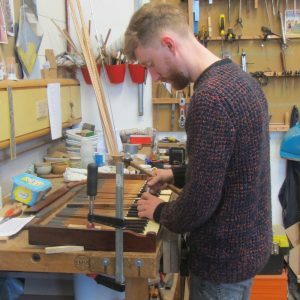 Guillaume is a harpsicord builder in France and is currently setting up his new workshop. 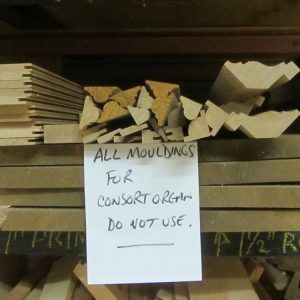 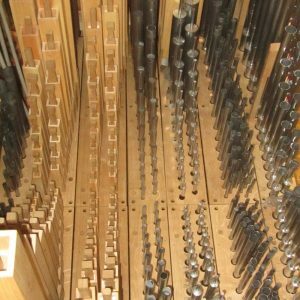 Nick’s mouldings for the consort organ!